2016 has been a trying year for many people, certainly. The #SoDonewith2016 hashtag has made it abundantly clear. But no matter how difficult times may be, it’s critical to remember the good moments, what helped you grow, and what you took away from it all. We recently reflected on everything the year brought for HEROfarm and are proud of what we’ve accomplished during the last circle around the sun. In January 2017, we hit eight years of doing great work for good people. We’ve come a long way and we’d like to thank you for your support and continually believing in us. Now on to 2017! On to #DoGood! Here are some snapshots of HEROfarm 2016. 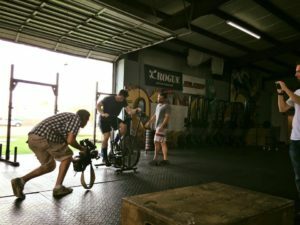 – As The CrossFit Games 2016 were approaching, New Orleans focused on its sole representative, Matt Weibke who entered as one of the 20 fittest men in the world, and garnered more attention through our helping spread the word. Watch the segment. – The brightest young minds from schools across the area participated in the Greater New Orleans Science and Engineering Fair, showing off some incredible thinking, and HF was proud to support the initiative through social media outreach and event assistance. 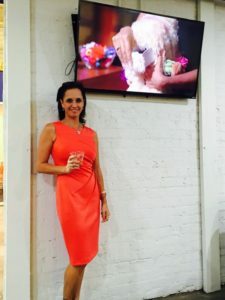 – Working with Shark Tank survivor and serial entrepreneur Lisa Lloyd, we helped her spread the word on her latest business Masqué Rage – temporary face tattoos with New Orleans flair – through a TV news feature. Watch the segment. 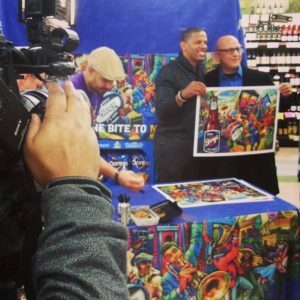 – New Orleans artist Terrance Osborne signed free poster prints of his crowd-attracting painting “Mardi Barq’s,” commissioned by Barq’s root beer for its “Bringing the bite to Mardi Gras” campaign, as HF assisted with media coverage, outreach, and support at Zuppardo’s supermarket in Metairie, Louisiana. 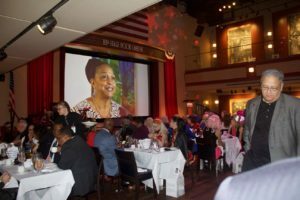 – Assisting the American Cancer Society New Orleans for the fifth year in a row, HF developed the logo and graphics for its big 2016 gala around the USO-styled theme of “A Salute to Survivors.” Read more about the symbolism behind the logo. 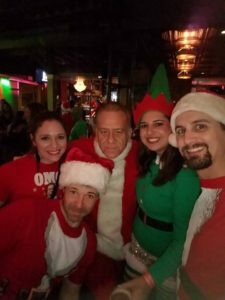 – The team again helped out with the great Running of The Santas, an annual holiday celebration event where thousands of pub crawlers take to the streets of New Orleans dressed as Santa Claus for charity and a jolly good time. 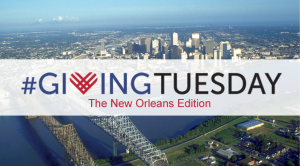 – In honor of its 40th year, NHS partnered with HF to develop new collateral material, marketing strategy, and public relations to celebrate its four decades of building community in New Orleans. – Ahead of huge local events such as Tales of the Cocktail, Coolinary New Orleans, and Restaurant Week, HF assisted Morsel Law present a free seminar on food and beverage packing law in Louisiana to those in the restaurant, food, and beverage industry to ensure products were in compliance with new state and federal law. 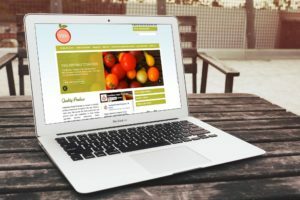 – Launched a new website for Louisiana Fresh Produce, which was completely redeveloped to restore functionality and increase usability. Check it out at www.louisianafresh.com . – The story behind the story. 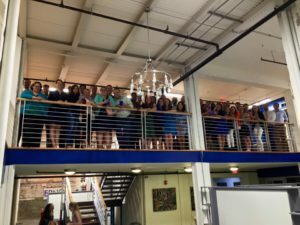 Working with Shark Tank survivor Lisa Lloyd, we hosted a TV watch party for her appearance on the follow-up show Beyond The Tank. Lisa’s latest business Masqué Rage — temporary face tattoos with New Orleans flair — is the focus of the segment. Watch the episode. Need assistance with marketing, public relations, or strategy? Click here. 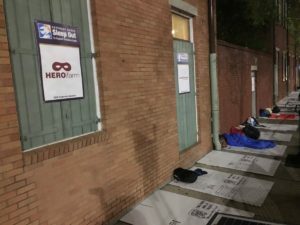 – Year 4 of sleeping out for the Covenant House New Orleans — our CEO and Co-Founder Reid Stone hit the streets to help raise money and awareness for the homeless youth of our city. Reid works with them throughout the year and can tell you that CH NOLA helps close to 150 kids EVERY SINGLE NIGHT. Thanks for everyone’s support this year! Sometimes we make our moms proud without having to yell, “Hey, ma! 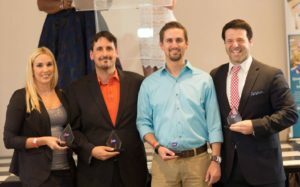 Watch this!” We were recently honored to receive the inaugural Heart and Soul Award from the American Cancer Society for helping develop the branding for the increasingly popular Belles and Beaus Ball, helping raise awareness, and increasing donations. 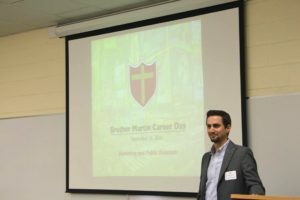 – Our Creative Director and Co-Founder Shaun Walker spoke at his high school’s annual Career Day on digital marketing, advertising, and public relations. 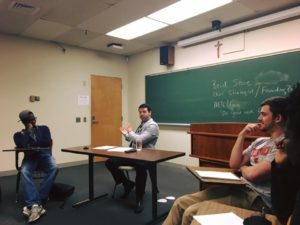 Students attended three 25-minute sessions giving Brother Martin Crusaders the opportunity to hear from over 50 alumni representing 45 different fields. – We launched the #DoGood Network, a free, online league of socially conscious individuals who want to find employment with good companies, strive to make a difference in the world, and want to connect with others who feel the same. 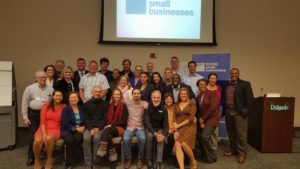 The #DoGood Network is where socially responsible professionals and businesses establish working relationships and like-minded people connect for advice, collaboration, and networking. – We’d like to send a big thank you to The Wharton School and Penn Wharton Entrepreneurship for recently inviting us to talk about corporate social responsibility and branding. Nothing makes us happier than connecting with others who are passionate doing their part in making a positive impact on the world. Want us to speak at your school, organization, or business? Email signal@hero-farm.com. 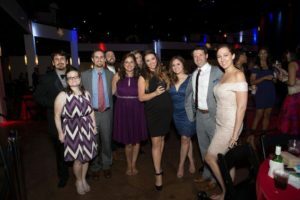 – Joining our friends at Emerging Philanthropists of New Orleans for a 7 year reunion, we celebrated a $300,000 impact from 300 young professionals. The fact that so many of us are still involved speaks volumes about the importance of the organization and to the type of philanthropists this incredible group and city has. 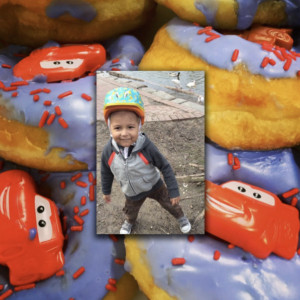 – On #NationalDonutDay, we stopped by Bakers Dozen to get a special cars-themed donut in honor of 3-year old Julian Haney who has Leukemia and is undergoing medical treatment. 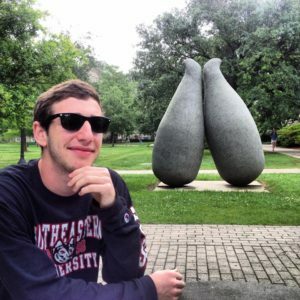 100% of proceeds from the sales of the “Julian’s Donut” went toward helping him. Plus, we actually felt good for cheating on our diets. See more here. – They gave him a secret envelope and portfolio review was never the same. 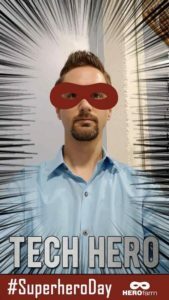 Success… agent man. 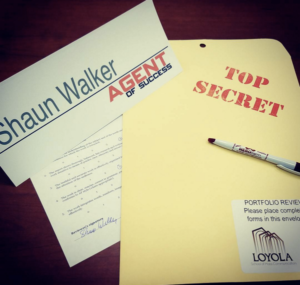 Our Creative Director Shaun Walker helped Loyola communications students perfect their portfolios in preparation for upcoming interviews. 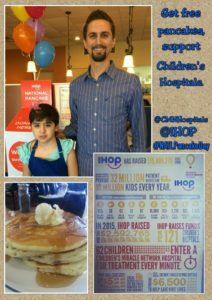 – One great morning, we got to support Children’s Miracle Network Hospitals and the incredible Renee-Michelle who was born without part of her brain (Agenesis of the corpus callosum), meaning life-long cognitive and social challenges. After treatment and progress, she is now thriving along with her twin brother. Show your own support here. 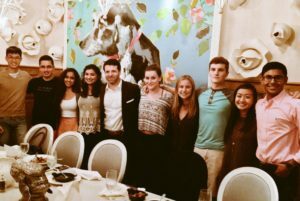 – Never missing a chance to go back to college, we visited Loyola New Orleans to talk with Mass Communication students and show them how to throw a fireball… and be a strategic thinker… and get a job. – The kids of Covenant House New Orleans are true survivors, so we showed them how to make survivor bracelets in the official CH color. 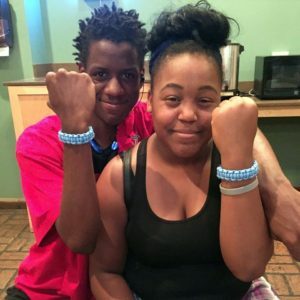 They made the bracelets for each other and the runners of the Crescent City Classic. Get involved with CH by donating time and mentoring at-risk youth. 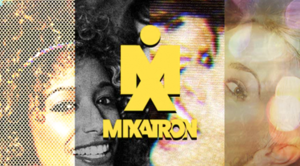 – iPhone app transforms videos with 1 click http://hero-farm.com/mixatron-app-transforms-video/. 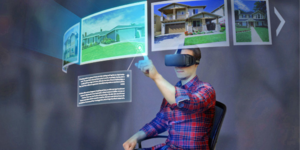 – Seeing Beyond: How Brands are Using Virtual Reality & What Your Business Can Do http://hero-farm.com/how-brands-are-using-virtual-reality-and-for-business/. 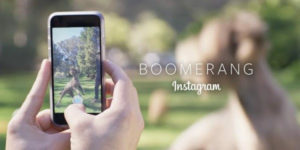 – 6 need-to-know hacks for the popular app by Instagram http://www.slideshare.net/herofarm/6-hacks-for-getting-the-most-out-of-instagrams-boomerang-app-65792050 . – Thousands of people in Baton Rouge and the surrounding areas needed help recovering from the devastating 2016 flooding. 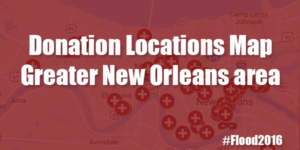 HF helped others #DoGood by creating a Donations Locations map where individuals could quickly see where the nearest drop-off locations were, when they were open, what they needed, and their contact information. – Going for Marketing Gold: 5 Ways Businesses are Running with The Olympics http://www.slideshare.net/herofarm/going-for-marketing-gold-5-ways-businesses-are-running-with-the-olympics. 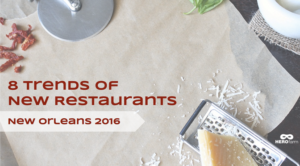 – 8 Trends of New Restaurants – New Orleans 2016 http://hero-farm.com/8-trends-new-restaurants-new-orleans-2016/. 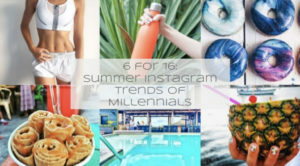 – 6 Summer Instagram Trends of Millennials http://hero-farm.com/summer-instagram-trends-of-millennials/. 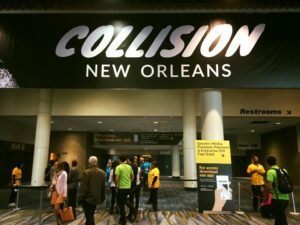 – We had some fun with the big Collision Conference in New Orleans, which coincided with National Superhero Day. 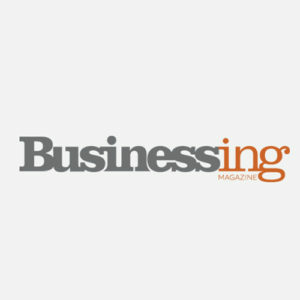 Check the write-up Entrepreneur mag did on our efforts. – Holidays are different in New Orleans, and Valentine’s Day is no exception. Our #NOLAVDay were inspired by recent news and developed so locals could share their NOLA love. 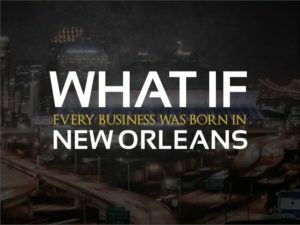 What if Every Biz was Born in New Orleans? 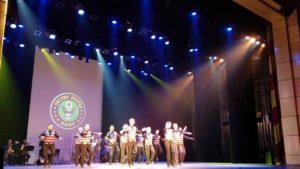 – Stars, stripes, and salutes stormed the stage Memorial Day weekend as Theatre on Tap presented Hoofing for Heroes, an All-American production that honored all the men and women of the United States Armed Forces, provided at no-cost to both active duty and retired military personnel. We immensely enjoyed helping get the word out and working with such incredibly talented and caring people. – 20 miles later, we were a closer team of raw, sweaty, sore creatives. 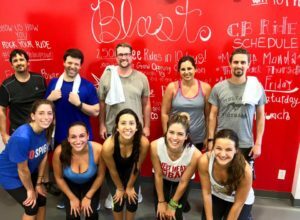 Jenny and the crew at the new CYCLEBAR NOLA took us for a heart-pounding ride — with an awesome soundtrack — that we’ll never forget! 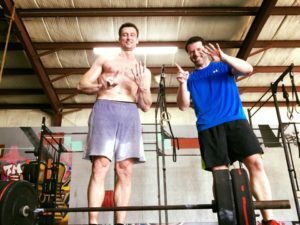 – In honor of the 2016 Olympics, our CEO Reid Stone trained with CrossFit Games New Orleans representative Matt Wiebke, one of the 20 fittest men in the world, after discussing marketing strategy for client Big Easy Crossfit. – We saw one of our own get married, shrimp boots and all. 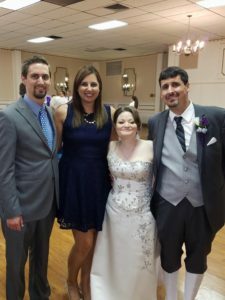 Congratulations to Jason and Penny! 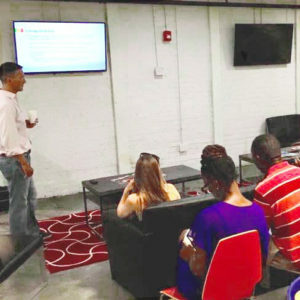 – Our Creative Director Shaun Walker undertook the labor-intensive Goldman Sachs 10,000 Small Businesses program, a world-class business education developed by the renowned Babson College, and graduated with 24 other classmates to raise the bar on their companies. 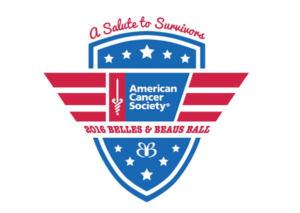 – Celebrating at the American Cancer Society Belles and Beaus Ball. We’ve now worked with the ACS for over five years now, donating branding and graphic design services for the charity’s major annual fundraiser. 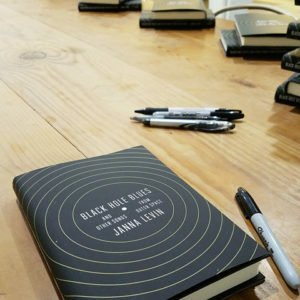 – Met Janna Levin, known as the chillest astrophysicist alive, at our HEROcave for the launch of her new book, Blue Hole Blues and Other Songs from Outer Space. We talked about extra dimensions, gravitational waves, and spacetime. Well, we listened. – They came! They saw! They got hired! 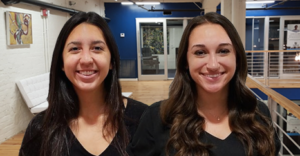 We were excited to add these two outstanding students onto the team and honored to mentor such already bright minds. – After many years in our old office, HEROfarm moved into a new headquarters that is bigger and better! 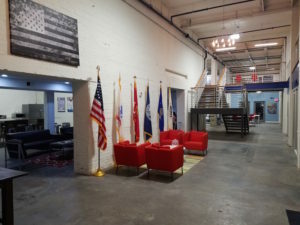 See some images of our not-so-secret lair, including a 360° view. 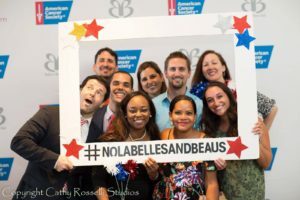 – Kickin’ back at the Belles and Beaus Ball New Orleans Announcement Party, the first big shindig before the annual gala. Working with the American Cancer Society for over five years now has been one of the absolute greatest pleasures in our mission to do good. 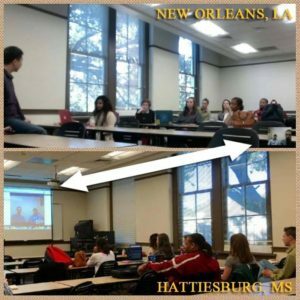 – We took a 15-minute round trip to Hattiesburg, Mississippi back to New Orleans to speak with Dr. Fei Xue’s Advertising Campaigns class at the Southern Miss School of Mass Communication and Journalism. Isn’t technology great? – Had the honor of mentoring a talented student who is poised to make waves as he enters the workforce. – Full-service v. specialty agencies: Which one reigns supreme?